“Time is not on the utilities’ side,” according to a report by the Smart Electric Power Alliance. Utilities are waking up to an electrified transportation future, but is it fast enough? Recent reports indicate utilities and states have begun to take more seriously an expected exponential increase in the number of electric vehicles in the U.S., with 227 EV-related actions nationwide in 2017. So far, though, it’s not enough. According to Navigant Research, the total number of charging ports installed in the U.S. as of the end of last year was about 475,000. That’s not even a fifth of the 5.5 million charging units the Edison Electric Institute and the Institute for Electric Innovations estimates the country could need by 2025. 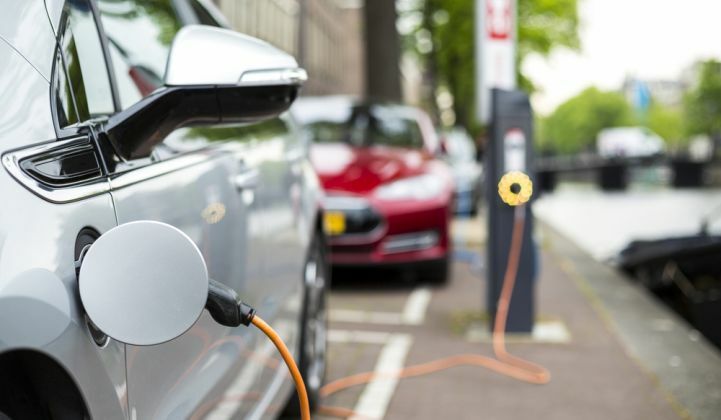 SEPA cites Bloomberg New Energy Finance and RethinkX estimates that energy consumption associated with EVs could rise to between 118 and 733 terawatt-hours by 2030. According to SEPA’s survey results, large investor-owned utilities have done the best to hurdle those infrastructural and demand challenges. Of the 141 IOUs surveyed, 8 percent have progressed to the late stage of planning and 45 percent to the intermediate stage. But for municipalities and cooperatives, more than 80 percent remain in the early stages. SEPA defines “early stage” as the utilities just beginning to consider transportation electrification. So far those utilities have taken little action, but may be assessing EV penetration and grid impacts in their service area. 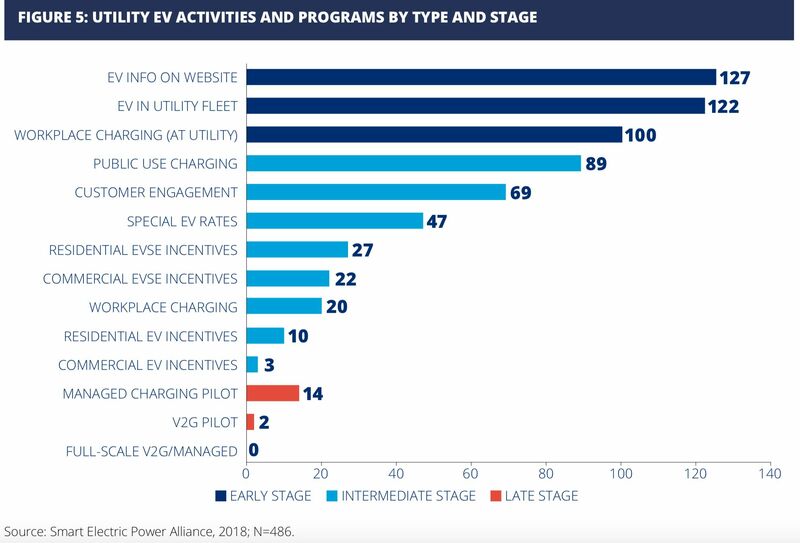 In the "intermediate stage," utilities have begun rolling out plans -- either on their own or cajoled by regulators -- such as charging infrastructure or incentives. At the "late stage," utilities have moved into developing long-term goals aligned with state policies. Advanced utilities may also begin considering the vehicle-to-grid potential of EVs. Right now, just 15 utilities fit in the latter stage. Just two have started a vehicle-to-grid pilot. The most common activity is also the most simple: including information about electric cars on a utility’s website. But SEPA suggested that even that attempt was paltry. “Given the relatively limited work required to develop website content, it was notable that only 25 percent of the surveyed utilities engaged in this activity,” the report states. The reasons behind a lack of utility engagement could stem from several factors. 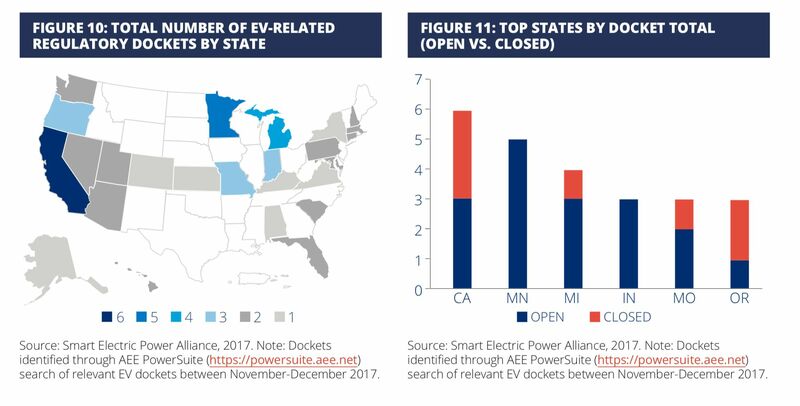 Utilities may experience a lack of internal support, have a limited understanding of how EVs may impact the grid, or feel uncertain about the utility’s role in the change. Uptake of EVs to date has also been low, and utilities can be slow to move on new technologies. Myers said IOUs may be more advanced in part because they have more budget flexibility, allowing them to dabble outside of what may be seen as more pressing priorities. Myers noted that it’s not a coincidence that many of the IOUs with more plans are located in California. But she said specific instances, like Austin Energy's unlimited charging Plug-In Everywhere program, prove that progress may not necessarily be tied to utility size. “It’s very location-specific and largely depends on the customer demographic,” she said. To turn around lagging planning before it's too late, SEPA said utilities should work with the larger industry on defining their role and then collaborate with other utilities to maximize it. 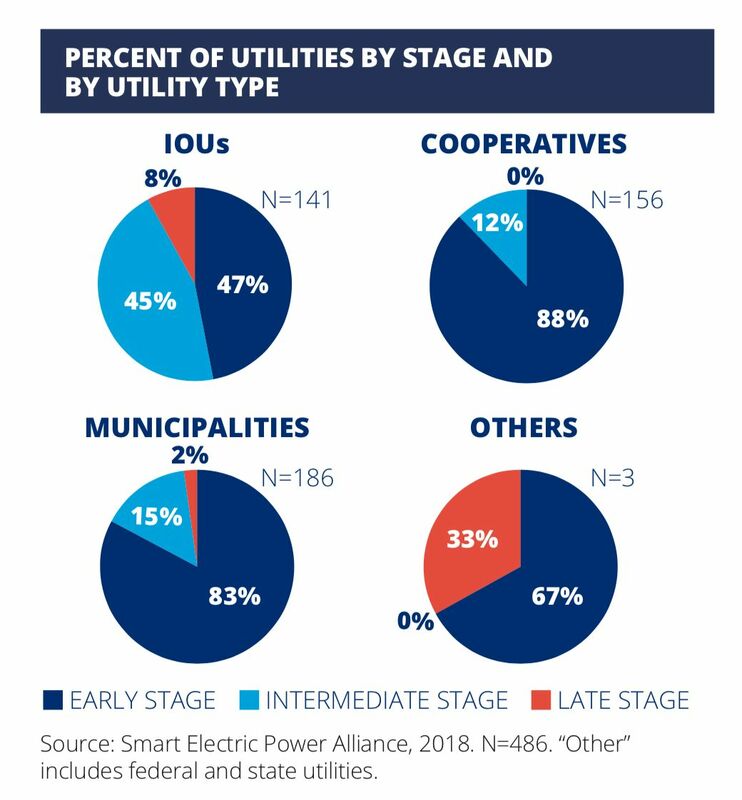 With larger, more experienced utilities sharing information with municipals and co-ops in the early stages, not all aspects of a utility’s program will be standardizable. But learning from those parts that are could help streamline projects in budding markets. SEPA’s report does offer one caveat: Its research does not extend beyond October 2017. Since then several utilities have moved forward with EV programs. In January, Pacific Gas & Electric finally launched the country’s largest utility-sponsored EV charging program. Later that month, utilities and environmental groups submitted a plan in Maryland that would create the second largest program. Research from a 2017 Deloitte survey supported by SEPA showed that over the next year, nearly 60 percent of the 34 utilities surveyed would be engaging in research on time-of-use pricing or other rate-design issues, and nearly 50 percent will be pursuing smart-charging research. 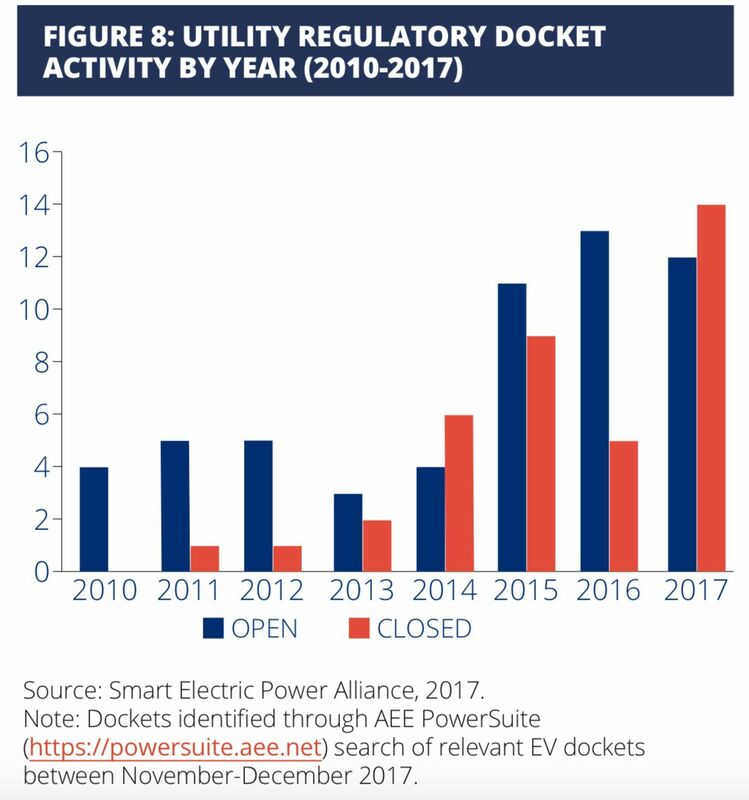 Utilities are moving toward the future, if slowly, with the number of filed regulatory dockets increasing. “This is an urgent issue,” said Myers.